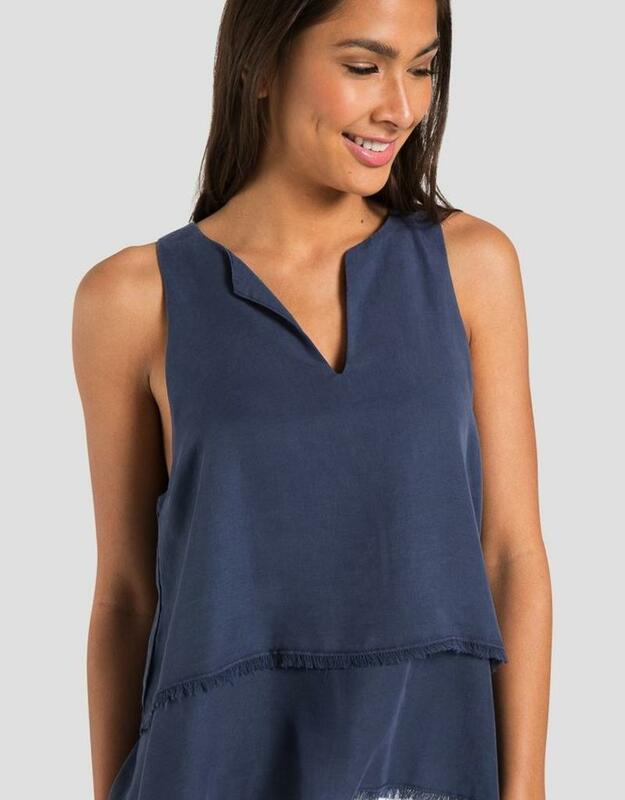 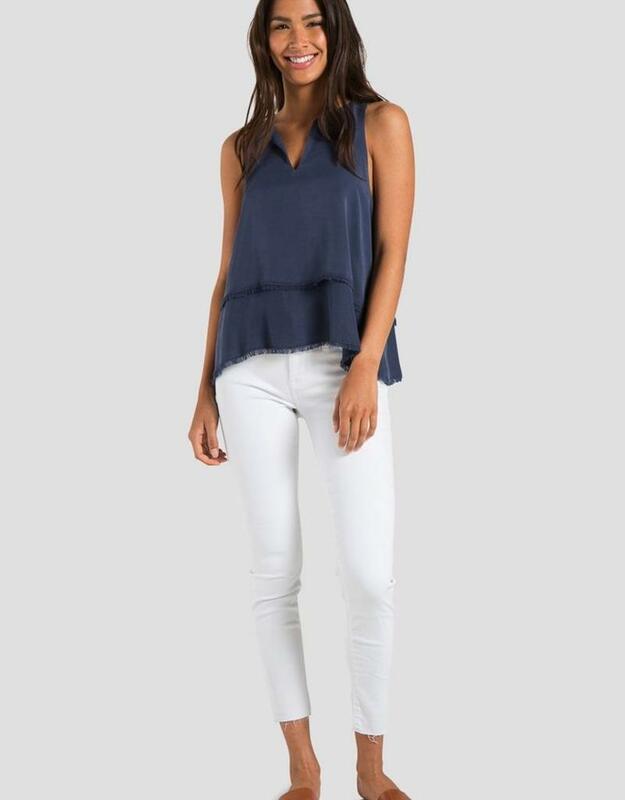 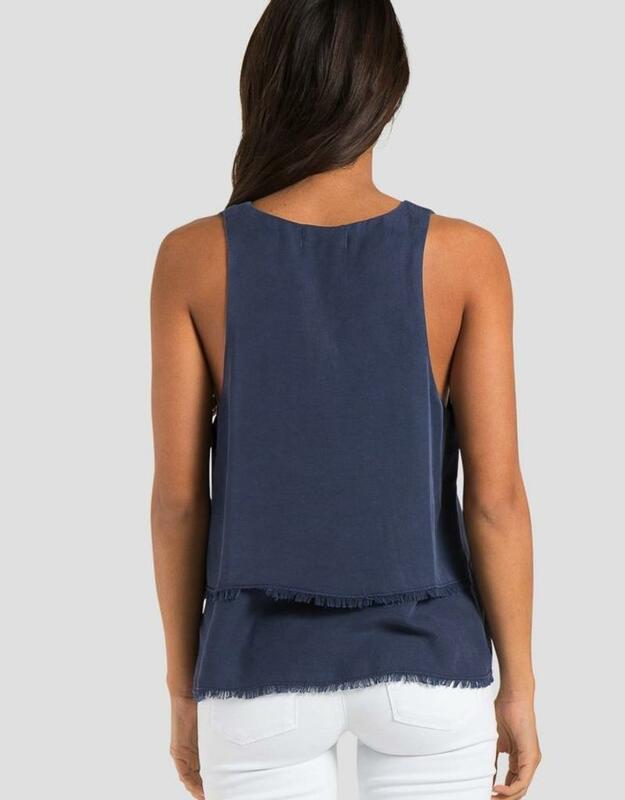 The Tiered Swing Tank is a fun relaxed fit top for on-the-go plans. 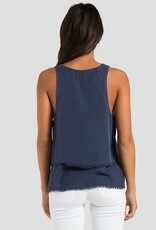 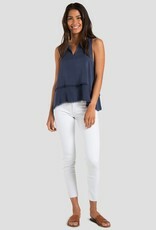 It's styled with a feminine neck detail and its flowy, tiered bottom is finished in frayed hemming. 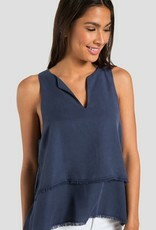 It has a shorter front hem that sits well on the waist.